Our team consists of CAs, MBAs, ex govt officials, etc., all of whom are united by a common purpose to ensure that the hard earned money of individuals is put to the most productive use. We want to help make your money work for you. We try to assist our clients to make their future secure. For that we must start planning at a real early stage. So our target audience is salaried individuals and mostly people in the age group of 21 years to 35 years who are taking first few steps of their life. Our objective is to reach 1000 customers within a period of 3 months and 5000 customers within 6 months. This objective is not just to increase our clientele but also to work toward fulfilling the interest of our clients who have put their faith in us. 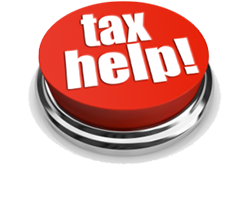 The objective is to help client understand his T.I.E.S (Taxes, Investments, Expenditures and Savings) so as to help plan a comfortable and secure future. Some examples of our objectives include minimizing expenses and taxes, and maximizing savings and investments, or making a profit. We ask our customers to provide us with their income, saving and investment details to enable us to calculate their taxes. A systematic examination and evaluation of data or information, by breaking it into its component parts to uncover their interrelationships. Our subsequent services include analysis of customer risk profiles and investment horizons to enable us to come up with the best suited investment portfolio. We also review this portfolio from time to time so as to adjust to any change in the environment. As an examination of data and facts to uncover and understand cause-effect relationships, thus providing basis for problem solving and decision making. Our strategy is to ensure maximum personal attention to each of our clients so as to come out with the best solution as per their needs and also rationalize and enhance their T.I.E.S (Taxes, Investments, Expenditures and Savings). Our interest lies in strategizing financial planning, analysis and management for our esteemed individual clients so as to help them plan their comfortable and secure future. We also seek to rely on word of mouth publicity from our esteemed customers to gain more market share. Our basic need is not just to create a customer base. It is to satisfy the need of each and every customer by the end of day that is to grow. We consider our customer’s approval for our performance do we meet their expectations. While satisfaction is sometimes equated with performance, it implies doing what was actually promised.